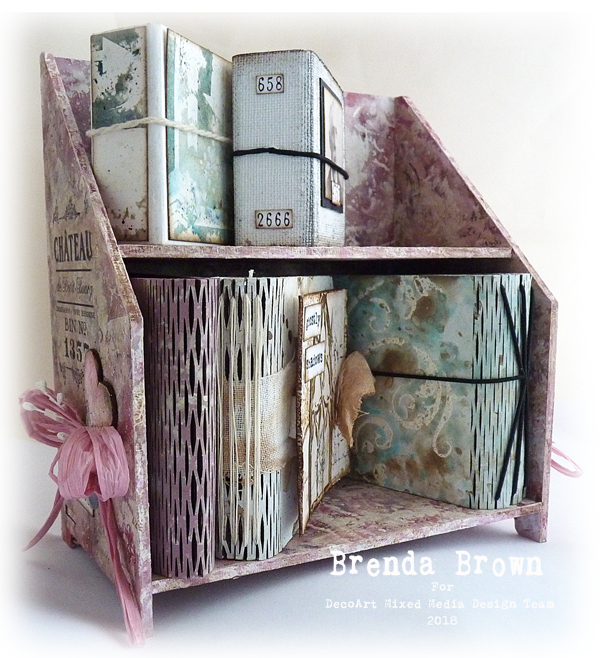 I am up on the DecoArt blog today with a storage shelf kit from Tando Creative to house their mini books. I have as always used layers of paint but this time used the new Premium range of acrylics which are absolutely fabulous to use. If you would like all the details please pop over to the DecoArt Media Blog to see all the process steps with plenty of photos. The little books and the shelf were made for Stitches so you will be seeing more of some of those little cute albums, just keep your eyes peeled here on the blog. Thanks for being here, enjoy your week. Beautiful, practical and oh so clever! Love this!